I’ll bookend this post with two heavyweights of Western Civilization: Shakespeare and Paul of Tarsus (a.k.a. St. Paul). This must be an important issue! Once more unto the breach dear friends! 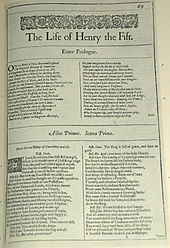 Like Shakespeare’s Harry, I’ll head into the fray and pick up the thread of a conversation that dominated this blog a week ago, when we were discussing a position statement on Mandatory Bicycle Helmet Legislation (MHL). Take a chance to look back at the entire blog, there have been several posts and over a hundred comments on the issue. You’ll find two different polls in that series of posts. I tallied up the votes on November 20 (the ‘polls are still open,’ and so the numbers will keep adding up) and wanted to share them with you. On the question of whether there should be mandatory bicycle helmet legislation, the respondents voted so: 245 no, 31 yes, 2 undecided. 73 voters thought that MHL put the focus on the wrong group for an intervention; bike safety begins with road and car driver safety. 48 thought that MHL sent an inappropriate message: that MHL indicated biking is risky behavior, when it is inherently safe. 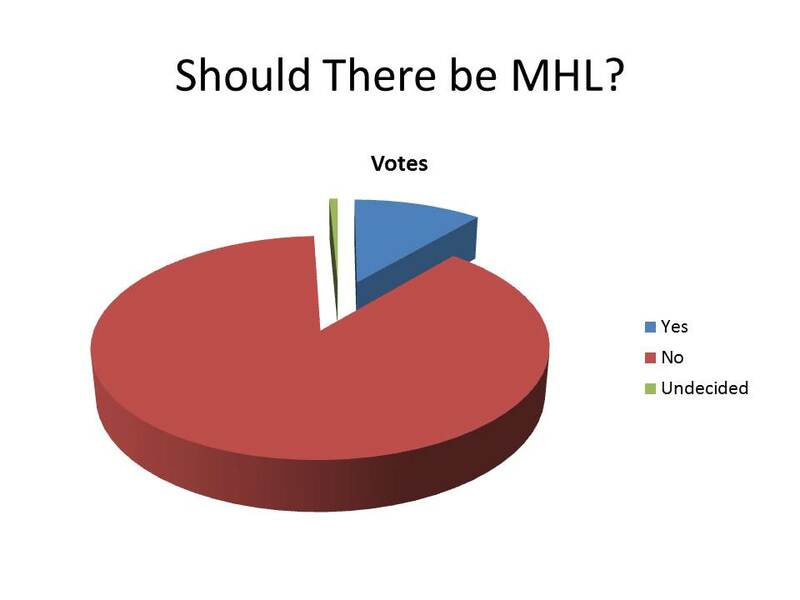 29 were concerned that MHL negatively affected bicycle ridership (decreased rates of biking). 9 thought that MHL was an unjustified restriction of their civil liberties. And 9 thought that MHL weren’t helpful in reducing what they are purported to do: reduce bicyle-related head trauma. I put these vote results, from a decidedly non-scientific poll, in graphical form below. The vast majority of poll respondents oppose MHL, and a plurality are concerned that the focus on bike safety needs to be placed not on personal protective equipment for bicyclists, but on making roads safer and car drivers’ more cognizant of their responsibility to share the road. I hope these posts, and the CJSM articles themselves, have contributed to the on-going debate about injury prevention in biking as an activity. As I indicated in my initial post, I find the balance of evidence in favor of supporting measures that contribute to increased use of bicycle helmet use. A great web site that was forwarded to me by one of the contributors does a fine job, I think, addressing some of the legitimate concerns of those who see a different message in the evidence. There is a scientific debate to be had about this issue in the world of public health and injury prevention. 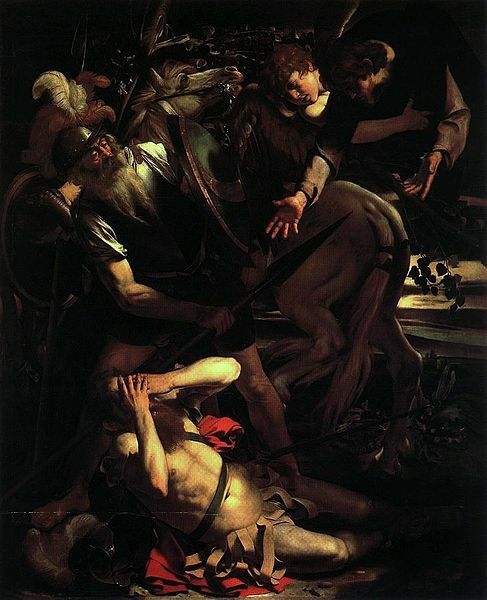 I’d like to end with St. Paul, as I had mentioned at this post’s beginning. From his famous paean to ‘love’ (1 Corinthians 13): “Now we see through a glass darkly.” I promise I’m not proselytizing here! This phrase (which has been used multiple times in various art forms) for me and in this context connotes that idea that we can use research and scientific evidence to approximate ‘truth,’ but we must always allow for multiple issues (biases, limits to study design, etc.) that will frustrate our ability to be absolutely certain about an issue. We see through a glass darkly. This idea has been kicking around in my head especially since this dialogue on MHL has begun. I have appreciated hearing many comments, and I know the CJSM authors have as well. I have passed on to them these blog links so they can see the robust discussion that has ensued on the tail end of their articles. But at times, many of the contributors to the discussion have crossed a line: claiming an ability to see the problem clearly, while others remain in the dark. I would ask when any one of us engage in this discussion on MHL that we focus on evidence, and we focus on remaining civil, and we avoid overt advocacy. We see through a glass darkly on this issue, and there are legitimate concerns and evidence to support those concerns on both sides of the issue. Demonizing the ‘other side’ I don’t think is helpful in a scientific forum. I have been frankly unable to post several comments because of language used. Sadly, there have been too many ad hominem attacks as well. So please know at CJSM we always love hearing from you. We especially enjoy hearing about published studies in peer-reviewed journals, or websites that report scientific evidence on this issue. Overt advocacy posts are better suited for a list serv. And shouting more loudly doesn’t make anyone hear more clearly. So, as ever, share with me your thoughts. Please know for this blog post specifically, I am moderating all comments and I will not be posting any unless they are written with the contributor’s full name and institutional affiliation. I will, as well, only post comments that focus on the evidence. And I will be unable to post anything I do not think contributes to a civil conversation about this important issue*. Thanks to you all, and to those of you in the USA: Happy Thanksgiving! Its easy to be selfish about not wearing a helmet…that is…until something happens and you are now a burden to others. Living in Cali, this has been a law to live by for some time. I dont keep stats but it sure seems like there are more bikers on the road than there used to be 25 years ago and they are all wearing helmets. My own helmet use became automatic after a friend died from a massive head trauma after his head hit the windshield of an oncoming car. That incident, infact, spurred a campuswide helmet drive to provide helmets to all riders at the university. I dont even think about putting it on now…its totally automatic. thank you for alerting me to that, i had the colors reversed in the pie chart, the vote numbers correctly tallied in the text of the blog. i appreciate your pointing out the error. i’ve corrected that. What REALLY concerns me is the amount of misinformation that is out there (at least among the very vocal minority), that helmets do not protect, and even exacerbate head/brain injuries. On one of the other recent CJSM helmet blogs (https://cjsmblog.com/2013/11/14/mandatory-bicycle-helmets-for-cyclists-tell-us-what-you-think/#comment-1789), Dr P Martin (MBBS, FANZCA, Specialist Anaesthetist) stated that ‘Bicycle helmets are useful for preventing scalp lacerations and spreading out a point impact over a larger area – all well worth avoiding, particularly in a race situation, but for truly catastrophic impacts they’re useless and there’s no evidence to suggest they prevent concussions (which is a brain injury) – just look at helmet use & head injuries in American Football compared to the Rugby codes. SportingJim as has already pointed out ‘the mechanism of injury protection provided by a bicycle helmet is different than that provided by a football helmet’. Given that Dr Martin is a co-founder of helmetfreedom.org (http://helmetfreedom.org/credits/), I am surprised that he seems to be unaware of research showing that bicycle helmets afford a high level of protection against brain injury. The Helmet Freedom site contains a ‘seven-part in-depth critique’ of the CARRS-Q report (http://helmetfreedom.org/), which cites a study by Carr et al. (http://www.monash.edu.au/miri/research/reports/muarc076.pdf). The hospital admission data in the Carr study shows that there were BIG reductions in serious/severe (AIS3/4) cyclist head/brain injuries as a result of the helmet law in Victoria (Australia). The overall proportion of AIS3/4 cyclist head/brain injury hospitalisations dropped by 40%, for cyclist head/brain hospitalisations with motor vehicle involvement, the proportion of AIS3/4 injuries dropped by 46%. A page on the site summarises Robinson’s 2006 article, which cites injury data from a study by Marshall and White (https://www.bicyclenetwork.com.au/media/vanilla/file/SA%20Helmet%20eval%201994%20SA%20Marshall.pdf). The Marshall and White study showed that in the 2 years after the law, compared to the 2 years before the law, in South Australia there was a 27% reduction in non-cyclist concussion admissions, and a 54% reduction in cyclist concussion admissions. The Marshall and White study also shows that there was no change in the level of cycling exposure 18 months after the law, compared to 18 months before the law (p<0.05). However, neither of these 2 facts are mentioned in Robinson's article. In just a few minutes on the Helmet Freedom site, I found numerous misrepresentations . . . The site gives the impression that helmet are only good for 'limiting linear deceleration from low speed impacts' and 'limiting some lacerations, abrasions and other surface injuries'. It claims that 'a helmet would offer little protection from a collision with a motor vehicle travelling from a collision with a motor vehicle at 60kph'. The Bambach study, of cyclists admitted to hospital with head injuries sustained in collisions with motor vehicles, completely blows this rubbish out of the water, and showed that the more severe the (head/brain) injury, the greater the protection afforded by helmets (up to 74%). – Attewell found that in the event of a crash, unhelmeted cyclists were 3.7 times more likely than helmeted cyclists to sustain a fatal injury, the Elvik result was 4.3 times more likely. – Attewell found that in the event of a crash, unhelmeted cyclists were 2.4 times more likely than helmeted cyclists to sustain a brain injury, the Elvik result was 2.5 more likely. The site fails to mention 2 studies that discredit the DAI (rotational injury) myth. A study by Bambach et al., of the 6745 cyclist hospital admissions following collisions with motor vehicle in New South Wales between 2001 and 2009 for which helmet use was known (http://www.ncbi.nlm.nih.gov/pubmed/23377086), noted that 'Only 8 individuals sustained loss of consciousness on a time scale satisfying one of the requirements for the diagnosis of DAI (more than 6 h, AAAM, 2005), thus in the current study DAI could have occurred in no more than 8 cases of brain injury (2.9%)'. An experimental study by McIntosh et al., (http://www.ncbi.nlm.nih.gov/pubmed/23697898), concluded that the study demonstrated that 'helmets do not increase angular head acceleration' and that it 'confirmed the significant benefit in terms of linear and angular acceleration through the use of a helmet'. Walter et al. (http://www.ncbi.nlm.nih.gov/pubmed/23339779) noted that the McIntosh study showed that helmets reduce 'both linear and angular acceleration by a considerable margin'. It also claims that the results of case-control studies are not consistent with the results of population-level/longitudinal studies. In fact, the results of the Carr and Marshall studies ARE consistent with the Thompson/Cochrane (http://www.thecochranelibrary.com/userfiles/ccoch/file/Safety_on_the_road/CD001855.pdf), Attewell (http://www.ncbi.nlm.nih.gov/pubmed/11235796) and Elvik (http://www.ncbi.nlm.nih.gov/pubmed/?term=elvik+meta+helmet) meta-analyses. The Facts page on the Helmet Freedom site would more aptly be described as helmet anti-facts, or a helmet fact-free zone. It is of concern that people may be using the anti-helmet material on sites such as Helmet Freedom to inform their helmet-making decisions. It is also of concern that people are likely to attach more weight to anti-helmet material that is written/signed by a Dr. I appreciate your efforts toward neutrality on this issue. You’ve been far more successful in those efforts than many. However, I feel that if you provide a “great web site” link to what is arguably the world’s most prominent pro-helmet-compulsion website, it would be fair to provide a similar link to a prominent helmet skeptic website. I suggest http://www.cyclehelmets.org. I believe the true bias is against bicycling, which is simply considered “not normal activity,” and thus assumed to be unusually dangerous, despite reams of evidence that bicycling’s benefits far outweigh its risks. True neutrality would include treating all sources of TBI equally. But current policy is to demonize cycling, and pretend that only cyclists might benefit from helmet use.